exciting team to inherit. The Albany-Colonie A's of 1984 had taken 1st place. However many felt that they this franchise held many of the future superstars of Major League Baseball on their 1985 roster. 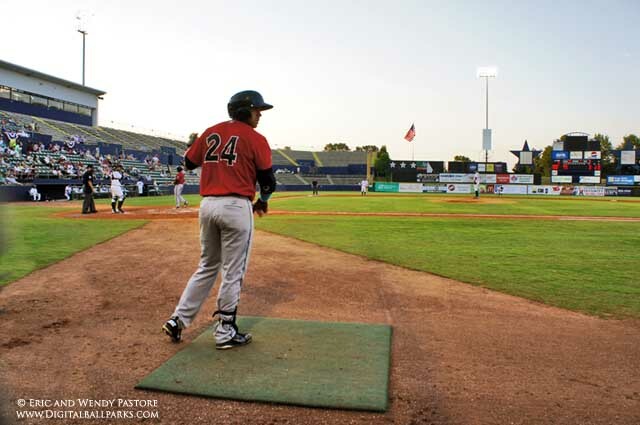 The new Huntsville Stars landed at Joe W. Davis Stadium and did they ever, put on a show. At the top of the lineup was two super speedsters… future Yankees' Luis Polonia who was batting .289 with 15 2B and 18 3Bs along with 39 SB. Those 18 triples still stand today as the most ever hit here at Davis Stadium. Tuture Athletics' Stan Javier meanwhile hit 22 2B, 9 HR, batted .289 and stole a whopping 61 bases, Like Polonia, those 61 bases would set the record for steals in one season at Davis Stadium which today still stands. They also had not one, not two.. .but three future MLB catchers… Brian Dorsett (11 HR, .268), Charlie O'Brien (7 HR, .209) and future MLB All-Star Terry Steinbach (9 HR, .272)… together these 3 combined to hit 27 HRs out of the Catcher's position. However there was indeed a future superstar roaming the outfield.